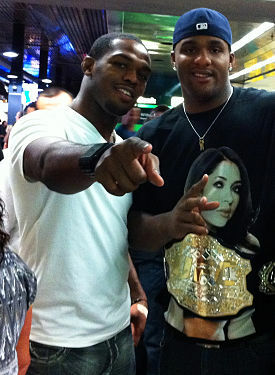 Jon Jones still being criticized for the UFC 151 cancellation is absurd. Everyone is getting on his case because of something that wasn’t even his fault to begin with. Jones didn’t go into the gym and take Dan Henderson out Tonya Harding style. Hendo simply injured himself. His actions still hurt others though. Watch the ESPN news update below as Chael Sonnen is once again given the podium to plug his sensationalized opinions. Unfortunately he may have a point this time. Jones not wanting to fight a guy who hasn’t even fought in his weight-class and who is coming off a loss in Chael Sonnen, I don’t blame him. 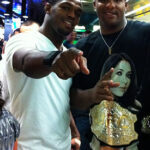 Sonnen needs to learn that title shots don’t come with talk, and I respect Jones for standing up for what he believes in. The problem I have is when a fighter thinks it’s all about himself. Jones knew if the whole card got cancelled that other fighters would lose their spot as well, and he didn’t seem to care. It’s the UFC, when you’re not in their fighting, you should show respect to every fighter outside the octagon.